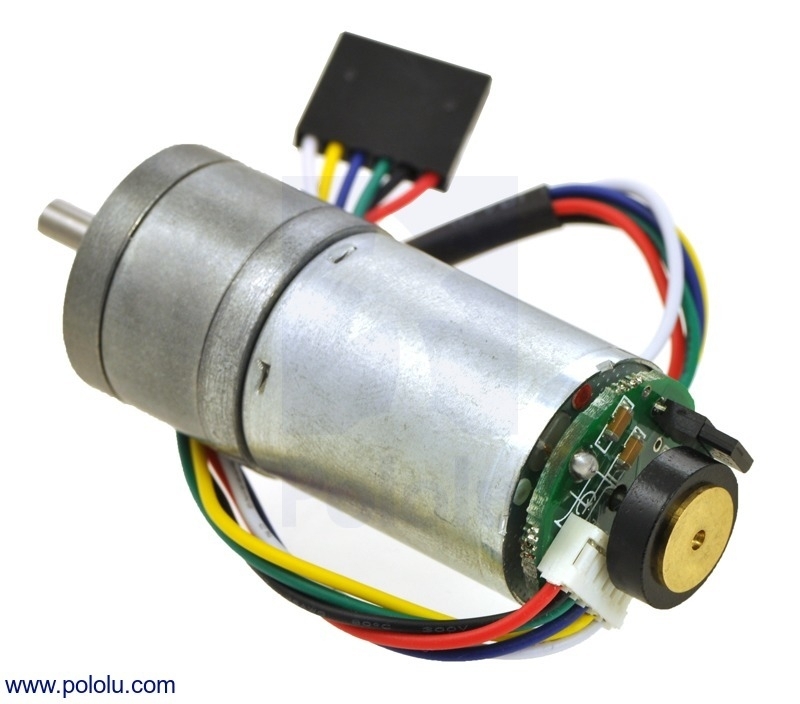 This gearmotor consists of a medium-power, 12 V brushed DC motor combined with a 34.014:1 metal spur gearbox, and it has an integrated 48 CPR quadrature encoder on the motor shaft, which provides 1632.67 counts per revolution of the gearbox’s output shaft. The gearmotor is cylindrical, with a diameter just under 25 mm, and the D-shaped output shaft is 4 mm in diameter and extends 12.5 mm from the face plate of the gearbox. Key specs at 12 V: 220 RPM and 200 mA free-run, 4.5 kg-cm and 2.1 A stall.